Annie grew up on a farm where her mother reared poultry that she sold to Ballymaloe house and cookery school as well as selling free range turkeys to the public at Christmas time. Annie’s brother Robert went back to their roots producing free range chicken, ducks, grass fed geese, white & bronze turkeys. Currently Annie’s Roasts trades weekly at Mahon and Midleton Farmers Markets. You can also find her at festivals and events throughout the country. She offers catering for parties, BBQs, wedings, corporate events and more. Using the finest Irish ingredients she can provide a variety of meats, salads and breads for your event. Ballycotton Seafood is a family owned and run fish and seafood business offering a huge array of fresh fish from their boats to your table. They smoke their own fish using traditional oak methods. They cook the finest of artisan oven-ready seafood on a daily basis using fresh fish and natural ingredients sourced locally. Visit their shops to get the fish from their boats to your table! 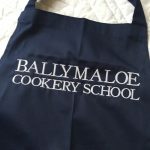 Ballymaloe Cookery School is internationally renowned for delivering a first class culinary education to students from all over the world since 1983. We are proud of our long-standing tradition of excellence and our Slow Food philosophy. Our prestigious 12 Week Certificate is internationally recognised, and has been the first step on the culinary journey of many well-known chefs, food producers and food writers around the world. The Ballymaloe Cookery School Alumni are a wide network of people from all walks of life and all age-groups. Each year we are delighted to invite many distinguished guest chefs to participate in our school curriculum. Jim Crowley has worked out of his award winning butcher shop on Mill Road in Midleton, Co. Cork, for nearly 20 years now and what hasn’t changed in all this time is Jim’s passion for food. Jim and his hard-working staff strive for perfection every day because it has been a part of the culture at Jim Crowley Craft Butchers since its inception. The customer is the most important stakeholder to Crowley’s and this is reflected in the high standards upheld in his butchery and the many awards the company has achieved. Kevin Day can trace his store’s retail roots back to 1890 where the store operated as an independent retail store. He is fifth generation and since joining EUROSPAR in 2003, the supermarket delivers a high standard shopping experience for the local community, focusing on excellent value and service. Day’s EUROSPAR Whitegate provides employment to 50 staff locally.